HUFFPOST – A resolution was recently introduced in the U.S. House of Representatives, condemning an atrocity that most Americans, and indeed most westerners, have never heard of: the 1988 killings of approximately 30,000 political prisoners in Iran. 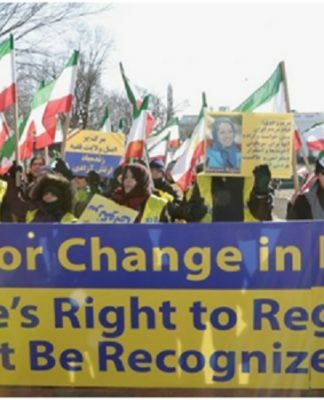 According to Amnesty International, the vast majority of the executed were affiliated with the main opposition People’s Mojahehin of Iran (PMOI/MEK). Prisoners were “brought before the commissions and briefly questioned about their political affiliation, and any prisoner who refused to renounce his or her affiliation with groups perceived as enemies by the regime was then taken away for execution,” the House resolution noted. The lawmakers were incensed to act in part by the audacity of the government of recently re-elected president Hassan Rouhani, who appointed as his Justice Minister one of the detested members of Tehran’s “death commission,” Mostafa Pourmohammadi. Many argue that like most instances of brutal carnage by autocratic, dictatorial or theocratic governments, the massacre was carried out in such a way that word of the executions spread to all corners of the country, terrorizing the populace and paralyzing thousands of families, neighborhoods, and communities with grief.